The Haram (Arabic: حرم) is the sacred boundary of Makkah within which certain acts are considered unlawful which may be lawful elsewhere. It is prohibited to hunt wild animals, damage any plant or tree, graze animals, carry weapons, fight or behave in a manner that will violate the sanctity of Masjid al-Haram. If a violation is carried out within the precinct of the Haram, Damm or Sadaqah is required as expiation. 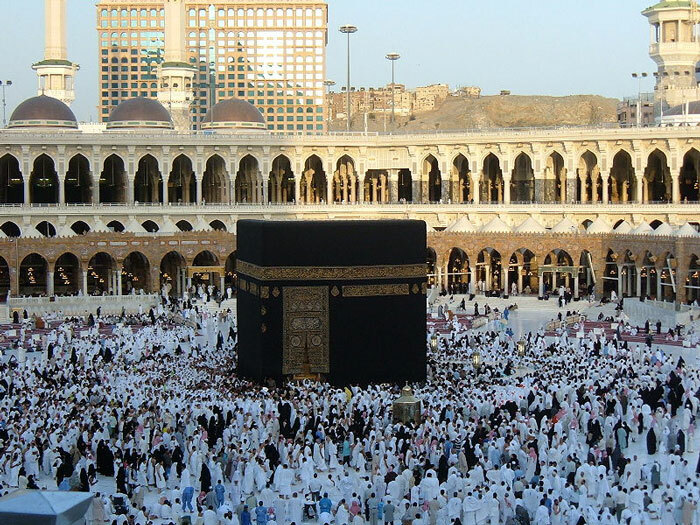 If a pilgrim intends to perform an additional Umrah, Ihram must be assumed outside the boundary of the Haram before reentering Makkah to carry out the rites of Umrah. Many pilgrims choose to enter into the state of Ihram at Masjid Aisha which is the nearest and most convenient location from Masjid al-Haram. Transportation to get to this location is readily available near the mosque. Pilgrims residing in or travelling through al-Hil must also enter into a state of Ihram before crossing the boundary of the Haram.